Ghana achieved a significant feat in the global exportation of cashew in-shell. As it emerged as the number one exporter of cashew in–shell for the year 2016, with total export value of US$ 981,158,000 representing 43.8% of total global exports of cashew in-shell. Other global exporters of cashew in-shell in 2016 include La Cote d’Ivoire (US$ 340,737); Tanzania (US$ 333,766); Guinea Bissau (US$ 209,390); Burkina Faso (US$ 105,619); Indonesia (US$ 100,261). 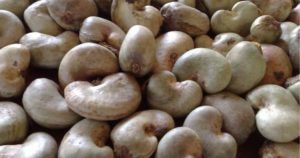 Major market destinations for Ghana’s cashew in 2016 include Vietnam (US$ 533 million) and India (US$ 445 million).